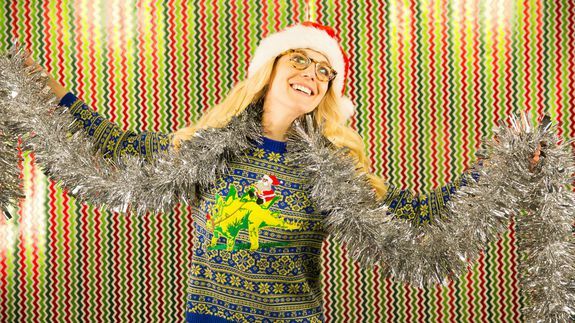 12 ugly sweaters selfies that took the holidays to the next level - trendistic.com: ever tried. ever failed. no matter. try again. fail again. fail better. But we didn’t just ask you to share your ugliest sweater; we wanted you to show an adult how to snap a picture and share it on social media. ‘Tis the season of giving. What ensued was hilarious. The sweaters were terribly tacky, yes, but the selfies with grandma made our hearts melt. Take a look at our favorites, below, and view the full collection here.